A review of United States Fire Health Insurance Company has led to a review of United States Fire Insurance Company (U.S. Fire Insurance). U.S. Fire Insurance is part of the Crum & Forster group companies and underwrites for Fairmont Specialty and Fairmont Specialty is a registered trademark of U.S. Fire Insurance. You can research any health insurance company and get free health insurance quotes, by your home zip code. According to the Texas Department of Insurance, the data for U.S. Fire Insurance during 2010 is available. As of December 31, 2010, the total assets of U.S. Fire Insurance are $2,511,795,130. The total liabilities equal $1,619,606,897. The capital of U.S. Fire Insurance is $4,586,262 with a net surplus of $896,601,971. How Crum & Forster came to be is a little different from U.S. Fire Insurance. Crum & Forster first started on December 2, 1987 as Finmar Reinsurance Corporation according to the New York Department of Financial Services. However, it actually commenced business at the end of December. 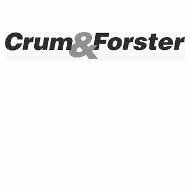 In 1996, the surviving Finmar Reinsurance Corporation merged with Premier Insurance Company and at that same time changed its name to Crum & Forster. Crum & Forster have a huge range of both commercial property and casualty insurance products. According to Crum & Forster’s website insurance services and products can be offered by either them, Fairmont Specialty (registered trademarks) and/or Seneca (service mark). Crum & Forster Group have insurance products ranging from standard to excess and surplus lines to specialty products. Their property insurance includes inland marine and fire. The next insurance product offered is umbrella. This includes umbrella programs, group personal excess and umbrella liability and lead and excess programs. Some of their specialty products include both life sciences and product recall plans. Lastly, they have excellent services where they can help with claims and loss control as well. A.M. Best gave U.S. Fire Insurance and “Excellent” rating of “A” with a financial strength outlook of “Stable.” Another positive rating is U.S. Fire Insurance’s credit rating which A.M. Best gave them a “a” rating (one of the top ratings) and a credit rating outlook was designated as “Stable” for the company. A.M. Best also gave Crum & Forster a very positive rating. Their financial strength was rated “A” as in “Excellent.” The company’s financial strength outlook was confirmed as “Stable.” As for their credit rating they were given an “a” for long-term credit and an outlook of “Stable” as well. Being able to find companies with health insurance can be challenging. While Crum & Forster and its companies offer much in the way of insurance, they are lacking in health insurance. Finding the right health insurance for your own needs and lifestyle does not have to be difficult. To find your best, personal health insurance quote, simply enter your zip code on this page and compare your results. Worst, most fraudulent company in my opinion. this company is a FRAUD for AUIC Deductible Supplemental Company but they will bury this review!!!!!!!!!!!!!!!!!! FRAUD!!!!!!!!!!!!!!!!! !